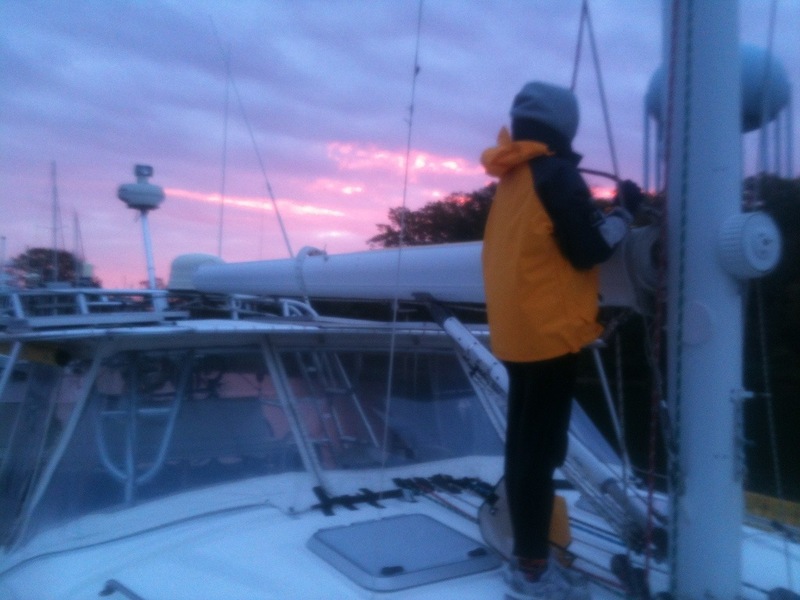 We left our comfy anchorage about 8:30 this morning expecting 15-20 knot winds on our quarter. As we got out of the river we turned into the wind to raise sails and realized too late that the head of the mainsail was not in the track, either because it hadn’t been fed in properly or because it slipped out, who knows? About a third of the sail was flapping wildly, not attached to the mast. We should have just dropped it on deck and refurled from there, but in a panic, we furled it back into the boom, and as the wind gusted up to 30 knots it furled back from the mast instead of staying even with the mast. Hard to describe. In any case, we fed the sail back into the gate and started raising it again, but as it got further up, a combination of a huge gust and the bad angle of furl from before pulled the bolt rope out of the track. 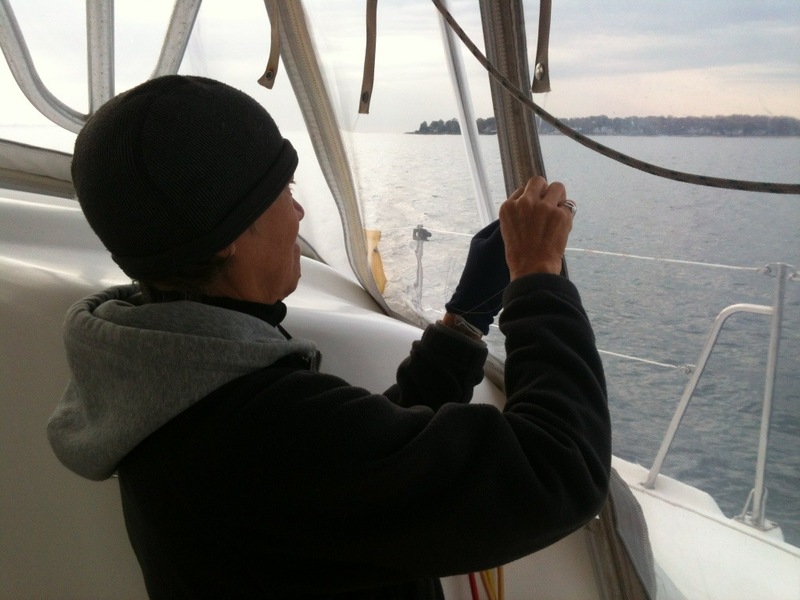 Now we had a mainsail that was halfway up and we couldn’t pull it up or lower it down. The wind continued to pick up and the sail was flogging. Who’s making these weather predictions anyway?! The only thing to do was to remove the gate so we could get the sail down. While I held the boat into the wind, Jack tried a succession of screw drivers and some PB blaster and finally got the gate off and we were able to drop the sail. It’s so easy to write that but it took a long time and a huge physical effort for Jack because of the size of the sail and the strength of the wind, and for me because we were encircled by fishing boats who wouldn’t stand clear, wouldn’t answer the radio and kept making me turn to avoid hitting them, which put pressure on the sail. 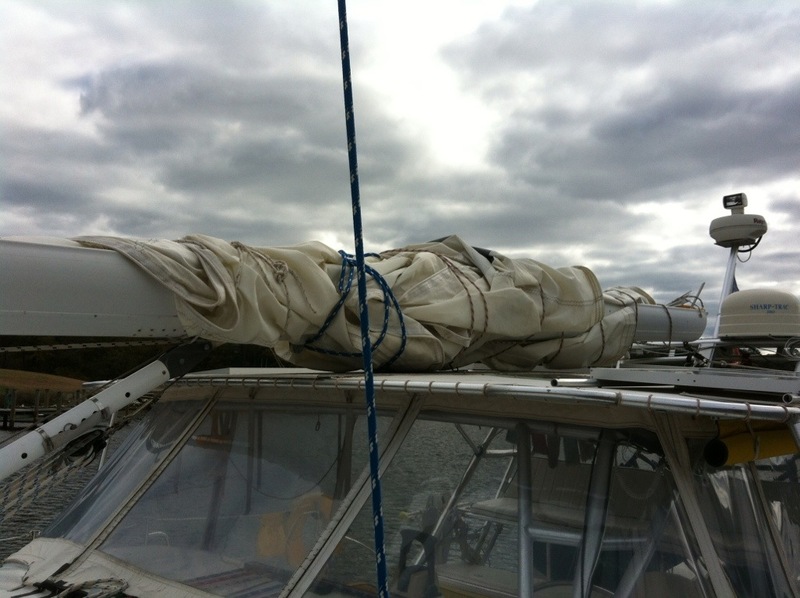 Finally the sail was tamed and tied down and we headed back to our anchorage to assess the damage to the sail. Obviously we screwed up by not having the sail well into the track before hoisting, and for not just dropping it on deck at the first sign of trouble instead of trying to refurl it in those conditions. Live and learn. 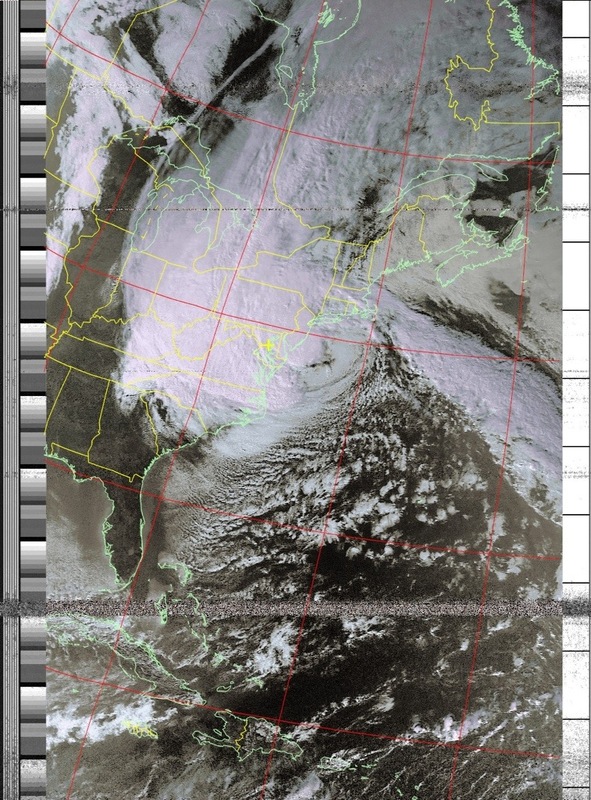 The yellow cross marks our location during the storm. 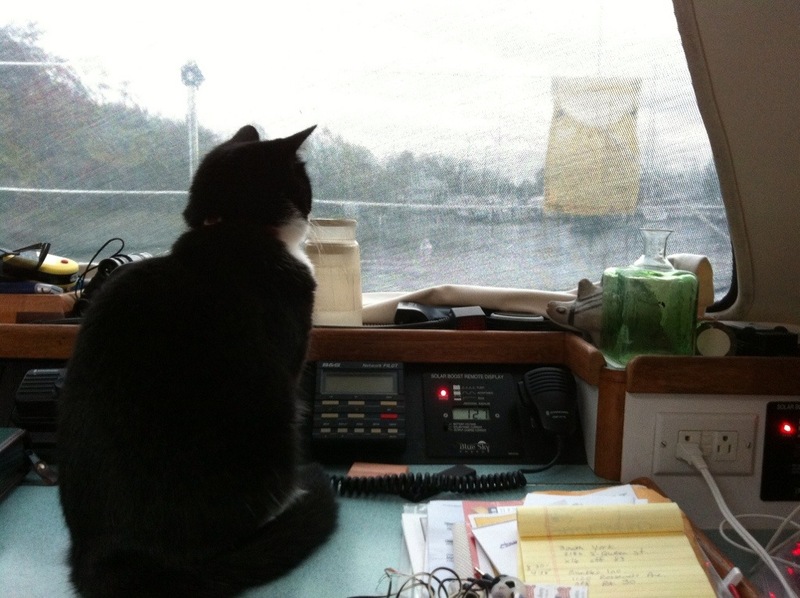 In the aftermath of hurricane Sandy we felt all at loose ends. We were exhausted but anxious to get going. Of course the conditions weren’t great so we had to wait. 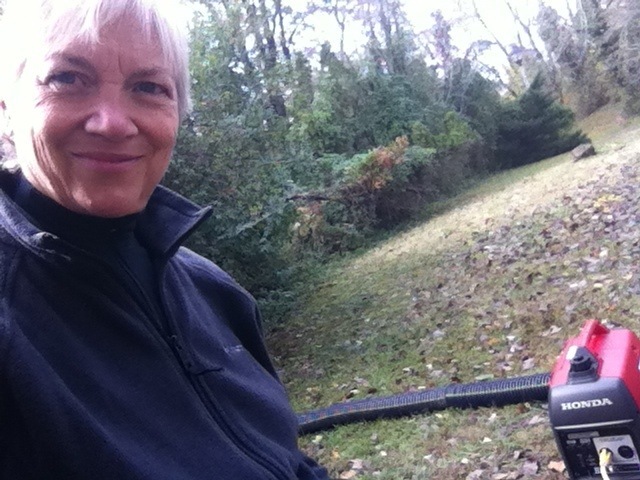 I guess we should have gotten some chores done but the hurricane brought with it a serious cold snap and we were having a hard time staying warm. That means very little sleep and that means very little got done. Meanwhile much of our family in New Jersey is without power and phone lines. I couldn’t reach my sister for days except for the occasional text to reassure us that they were ok. We finally were able to talk on Thursday but they don’t know how long they’ll be without electricity and it’s as cold there as it is here. Luckily they have a fireplace they can cozy up to. Our first order of business was to get our absentee ballots mailed as soon as possible so they would arrive by the 5pm Friday deadline. 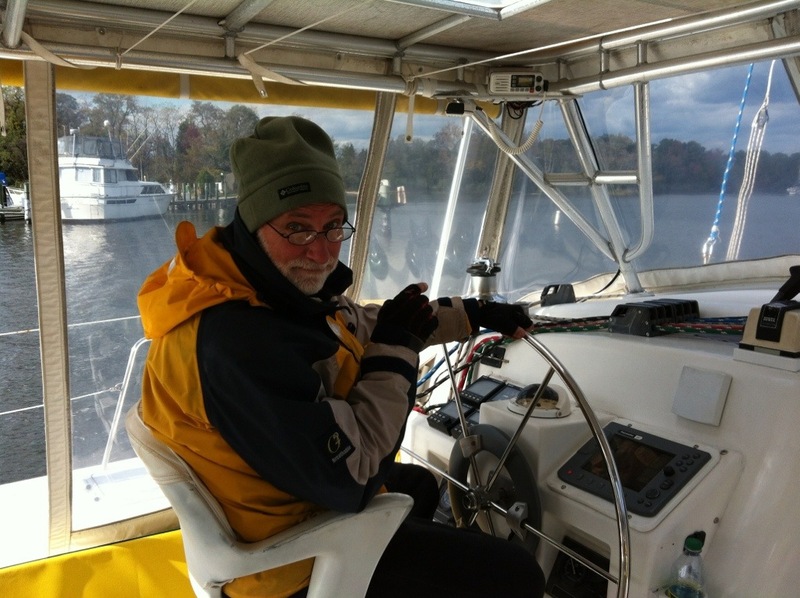 Jack launched the dinghy late Tuesday and made the cold and rainy trip to the PO so they’d go out that day. 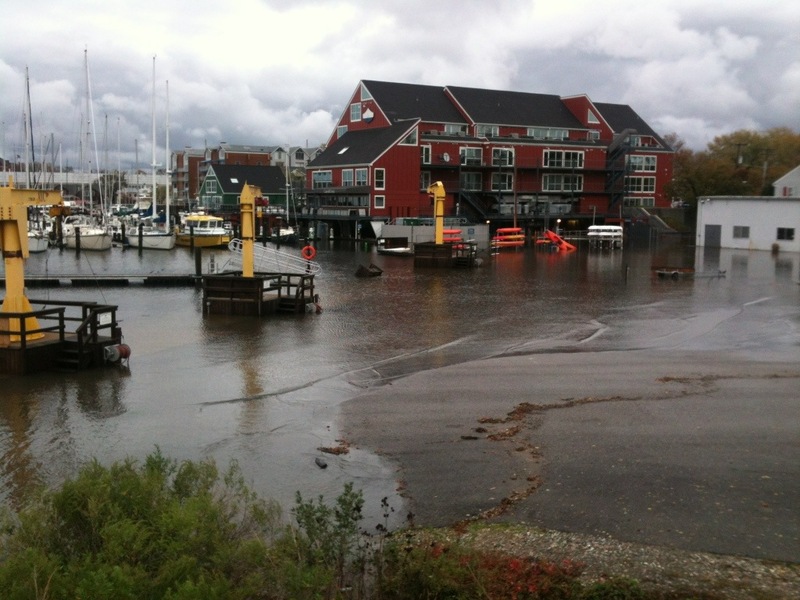 He took a walk toward town to see how they fared and found some minor flooding, but all in all, considering how close we were to the eye of the storm, we did much better than so many places much further away. Early Wednesday morning Dave from Auspicious came over to walk me through a couple of radio net check-ins. I’m almost embarrassed to admit that despite the fact that I’ve had my ham license for 11 years, this is the first time ever on the radio, mostly because I didn’t have a radio. So now I know how to do that, and it also confirmed that our equipment is working well, but we do need to straighten up our tilted antenna. We’re not quite sure why it was installed at such an angle. 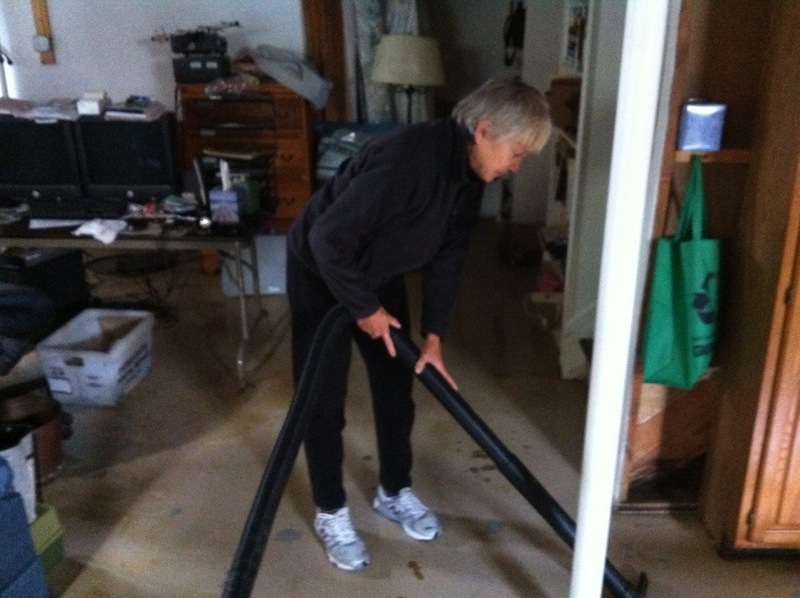 Dave said his girlfriend’s house was flooded and Jack and I offered to help wet-vac the basement. The house was without power but Dave has a small generator that could run the pumps and the ShopVac. On the way back to town we saw a crew working to restore power. Dave pulled over to thank them and we learned that this crew is from western North Carolina, which we could have figured out by the accent alone even before we asked. The foreman said normally this small enclave of houses would be lower on the priority list except that the storm had taken out a few poles that held the main lines for a larger area. 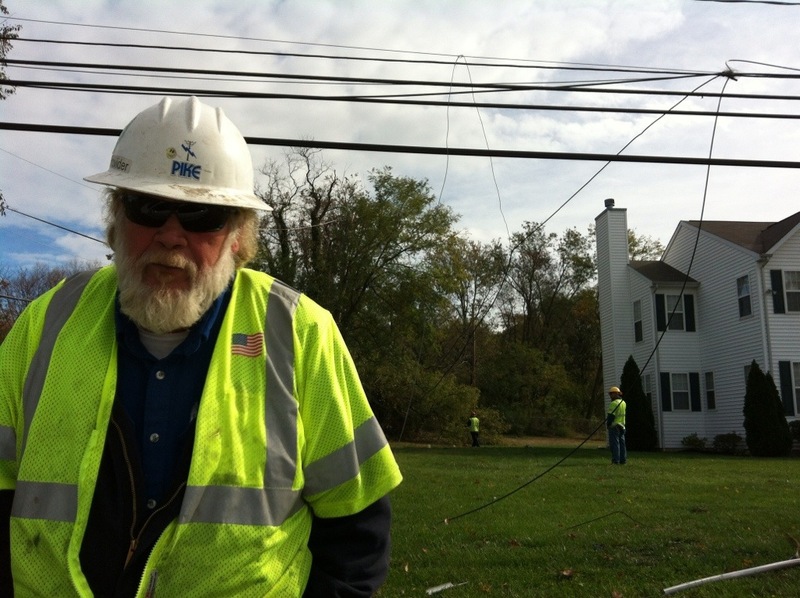 His crew had already re-wired but they were waiting for the ground crew before digging to reset the new poles, and that Dave’s neighborhood would have the power back that afternoon. “You lucked up,” he said, and we all thanked him. 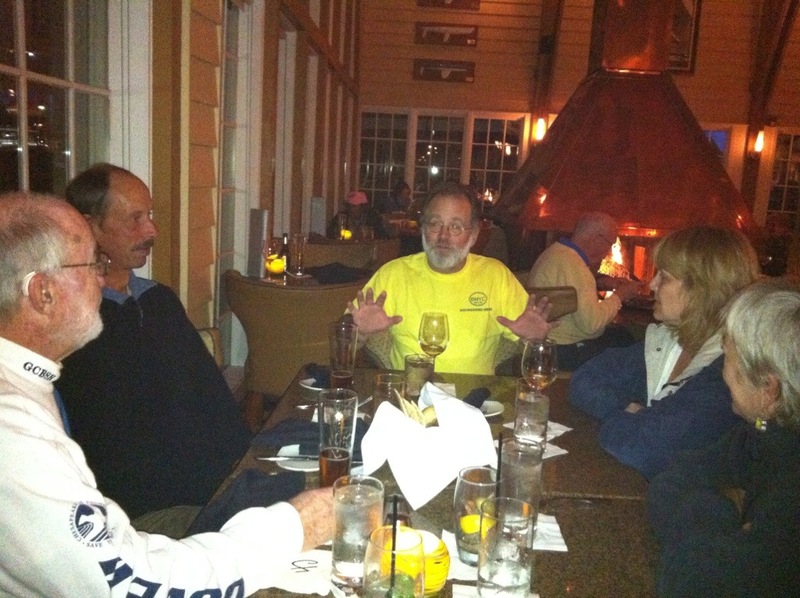 That night we met at the Chart House for a post-Sandy celebration. Finally the weather started looking good for a departure south. Alan left early Thursday but we had to wait for our cockpit window repair. 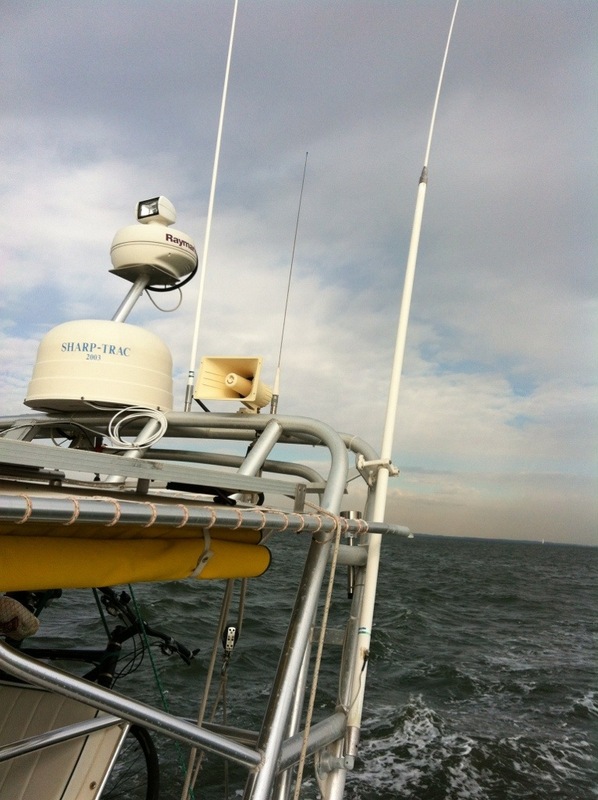 We took the opportunity to visit a marine electronics guy we’d spoken to at the boat show and he was very helpful with some options for replacing our intermittently failing GPS antenna that feeds the chart plotter. We loaded up the bikes and generally tried to get ourselves back into cruising mode after being in one place for more than a month. We got the window panel back into the enclosure but couldn’t get it fully installed, either because we did the steps in the wrong order or because it’s just so cold our fingers won’t work, but we blessed it and will live with a slight draft until we’re in a warmer place and can work on it. 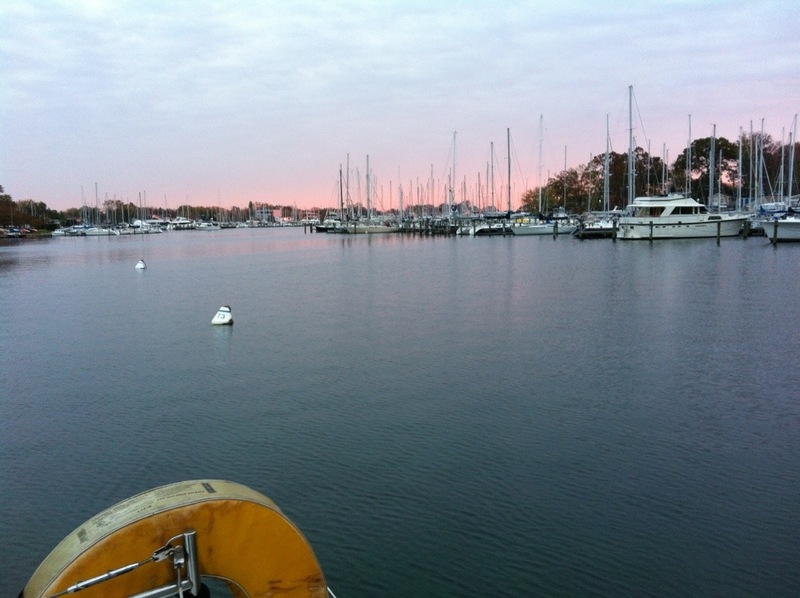 We had a last cozy visit with Jim aboard Little Star and after another cold, cold night aboard EV it was time to go. 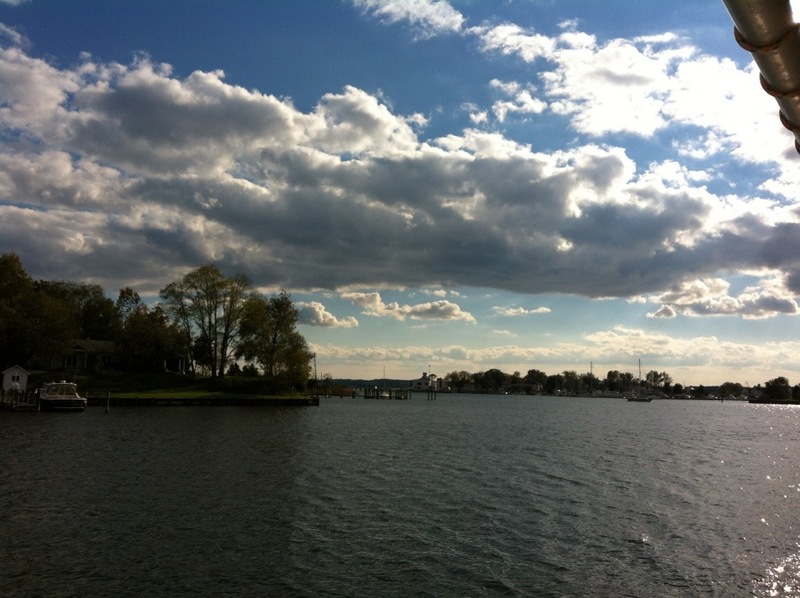 We know it’ll be a long time before we see our beloved Annapolis, our chosen home port, again. 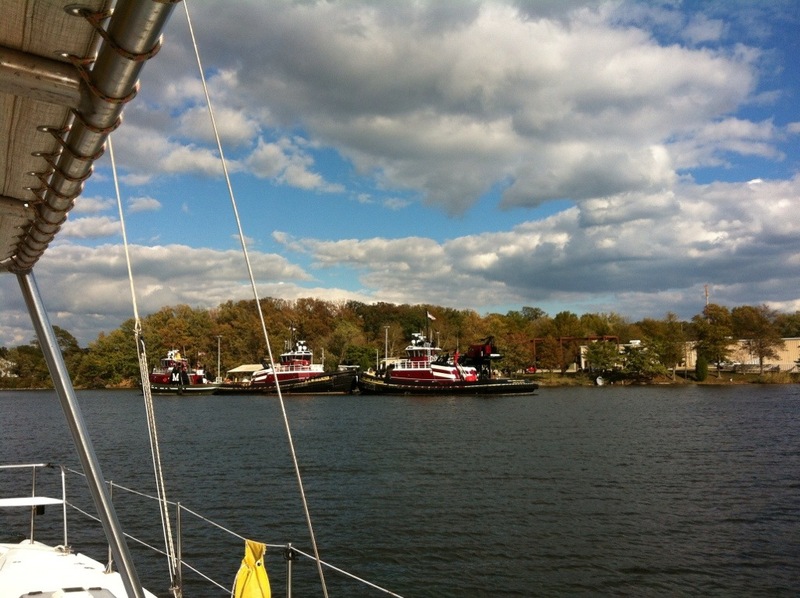 We had a rollicking sail down the Chesapeake to Solomon’s Island where we dropped the hook and enjoyed a very brief bit of sunshine that brought no warmth. I think it’ll be weeks before we can pack the fleece away.